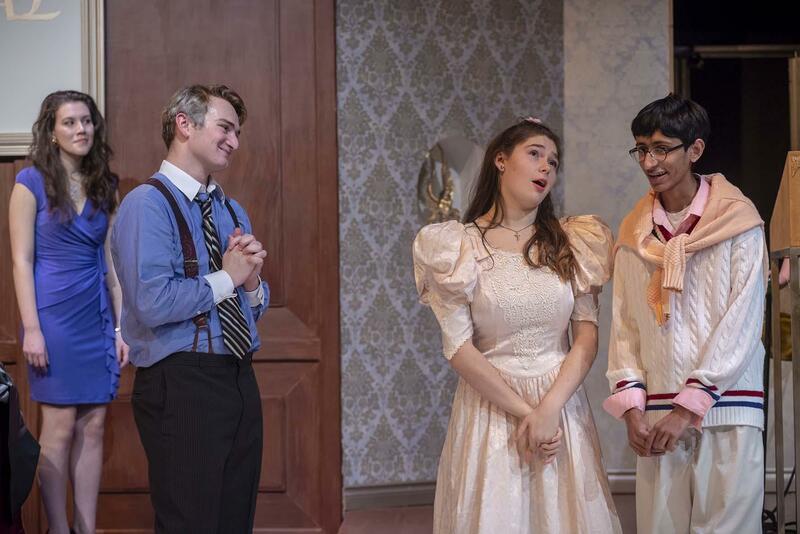 The Northwest School theater department proudly presented the Upper School Play Production’s performance of Tartuffe: Born Again, by Moliére, translated and adapted by playwright Freyda Thomas, and directed by Northwest teacher Ellen Graham, on Dec. 13-16, 2018, at our Black Box Theater. 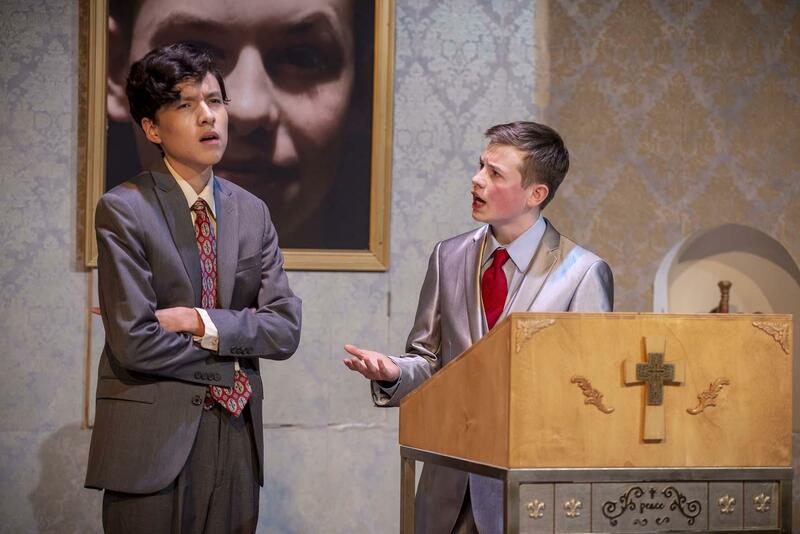 The performances came with a special curtain warmer, The Rehearsal, written by Northwest School alumnus Frank Garland ‘16. Frank’s play was inspired by Moliére’s Rehearsal at Versailles. 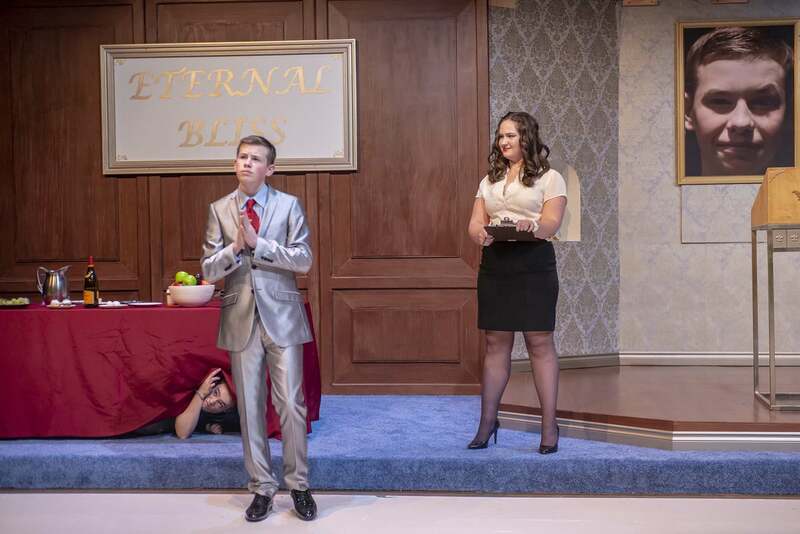 Tartuffe: Born Again was set in a televangelist studio in the 1980s. The adaptation of Moliére’s classic play had Tartuffe as a former televangelist who tricks Orgon and his family out of their money and home. 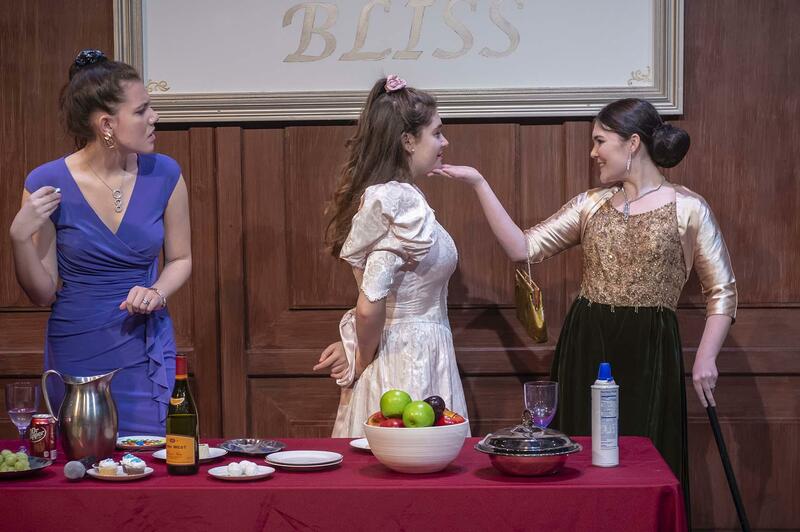 The play took great delight in skewering religious hypocrites. The production featured a gorgeous set designed by 16 students from the Stagecraft class.